MyBayCity.com Movies In Downtown Bay City - A Huge Hit! 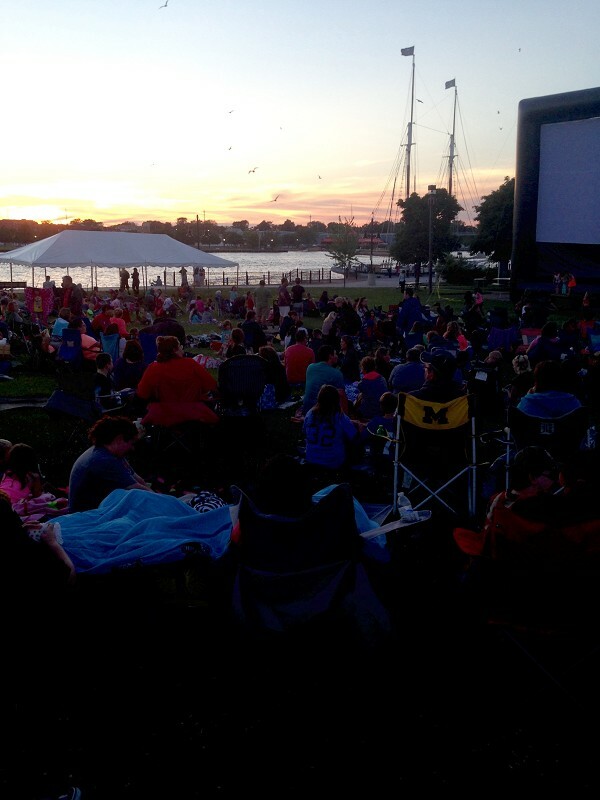 Movies In Downtown Bay City - A Huge Hit! The State Theatre presented it's first "Movies in Wenonah Park" night on Tuesday June 16th in Bay City's Wenonah Park. The first movie, a classic, E.T. The Extra Terrestrial. The State Theatre's Executive Director Michael Bacigalupo said "It's all FREE, come on out bring a chair, bring a blanket, bring the family, don't say there isn't anything to do in Bay City." Bacigalupo is also organizing Wednesdays In The Park and Uptown's Thursday Free Concert Series in addition to his normal responsibilities at The State Theatre and Temple Theater. The projection equipment and screen were graciously donated by the Wirt - Lee Families, and the movie was sponsored by Team One Credit Union. Bacigalupo plans to show 9 more movies at Wenonah park, with a backup rain location of The State Theatre. Below is a full schedule. June 16 -- "E.T. the Extra-Terrestrial"
June 23 -- "The Water Horse"
July 7 -- "Despicable Me"
July 14 -- "The Goonies"
July 28 -- "The Boxtrolls"
Aug. 4 -- "The Incredibles"
Aug. 18 -- "Monsters Inc."
Aug. 25 -- "Mary Poppins"
Great crowds showed up for the first movie in the park. The crowd anxiously awaits E.T. the movie.